Friday-Sunday Weekend spectator passes $30 at the gate or buy here. Saturday-only (HooptieCon) passes $20 at the gate or buy here. Offered and organized by Sonoma Raceway. Testing runs Noon-4pm, $325 per car flat fee. There is no pre-registration for testing. Register and pay (on Friday after 10:30am) at Guest Services, located near the front gate. Testing is only for cars and drivers registered to race for the weekend. Got no life? 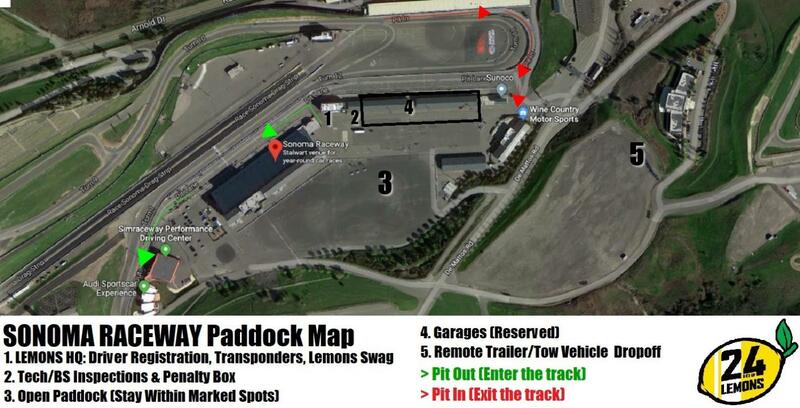 You can show up from 5pm-10pm, but you'll be stuffed in a staging area until the track crew has finished preparing the paddock--which may not happen until Friday morning. 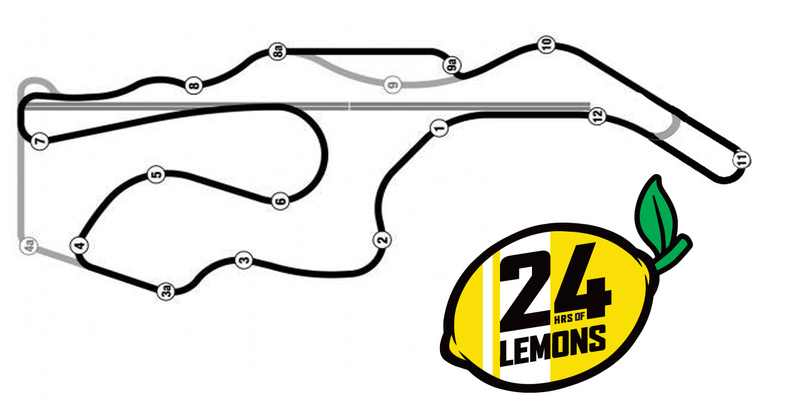 12pm-4pm: Lemons testing. Details above. 8pm: Huge winter-rain-induced mudslide covers paddock, best be gone. A limited number of rental garages will be made available to competitors. We will send out an email to registered team members six weeks before the event at the absolute earliest. Each email received about garage rentals prior to the email announcement will result in a $100 increase to the rental cost. You people think we're kidding? Registered racers can order up to three sets of Yokohama tires per car, which will be delivered to the track and can be mounted free of charge. The tires will be sold on a Buy 3, Get 1 Free deal and will be available only through prepaid sales between February 1 and February 21. To order tires between 2/1 and 2/21, call Trackside Performance on the phone to place your order with either Bob Root [949-589-5394 ext. 25] or Gina Witter [949-589-5394 ext. 15]. Inventory varies on a daily basis, so you can call Trackside to confirm availability, as well.